Adding dense pack loose fill fiberglass insulation to an enclosed exterior wall is a cost effective way to add R-value to your home. This technique protects your home from the loss of conditioned air while improving overall comfort and energy efficiency. This can also be added to interior walls to offer sound dampening and reduce noise transfer between rooms. How is loose fill insulation added to walls? Our installers create small access holes in the walls and blow insulation into that space with a machine. After installation is complete, the hole is properly sealed. 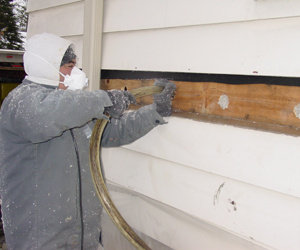 If you are remodeling your home or replacing siding on your home, consider upgrading your insulation. The best time to add insulation is when a wall cavity is open. 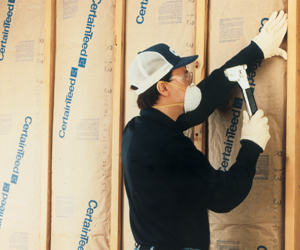 Have questions about adding insulation to interior or exterior walls? We’ve got answers. Call us!